HENRY M. CASALE is a partner with the law firm of Horty, Springer & Mattern, P.C. in Pittsburgh, Pennsylvania and is a licensed pharmacist. He is a frequent editor of the Health Law Express, a free weekly e-mail on health law developments. 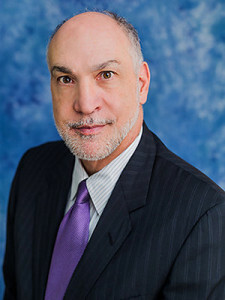 He has also served on the faculty of seminars sponsored by the firm, as well as meetings and seminars sponsored by numerous hospital, managed care, legal and physician organizations, including the American Association for Physician Leadership, the Pennsylvania Bar Institute and the American Health Lawyers Association. Mr. Casale has been listed in Best Lawyers in America and Pennsylvania Super Lawyers. He also co-authored, with Eric W. Springer, Hospitals and the Disruptive Health Care Practitioner: Is the Inability to Work With Others Enough to Warrant Exclusion?, 24 Duq. L.R.377 (1985). He has served as a member of the Board of Directors and as the President and Vice-President of the Society of Healthcare Attorneys of Western Pennsylvania. He has also served as a member of the Health Law Section of the Allegheny County Bar Association.